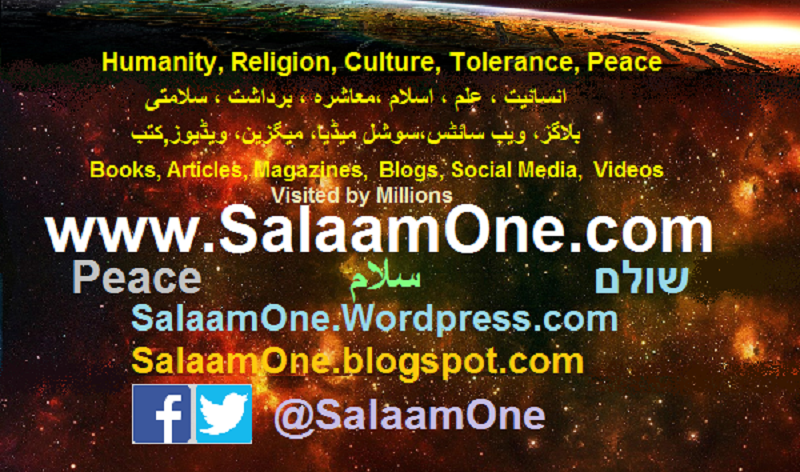 SalaamOne, سلام is a nonprofit e-Forum to promote peace among humanity, through understanding and tolerance of religions, cultures & other human values. The enterprise is managed by Aftab Khan, a freelance researcher and writer. His work and collection is available in the form of e-Books. articles, magazines, videos, posts at social media, blogs & video channels. The Forum is open to all the rational, peace loving people of any faith, gender or race. You may join at social media , invite your friends and share the stuff. The NetWork It has been visited by over 3 Million people around the world. This forum offers a variety of topics for the interest of the readers to choose.